When Do We Start Fighting? 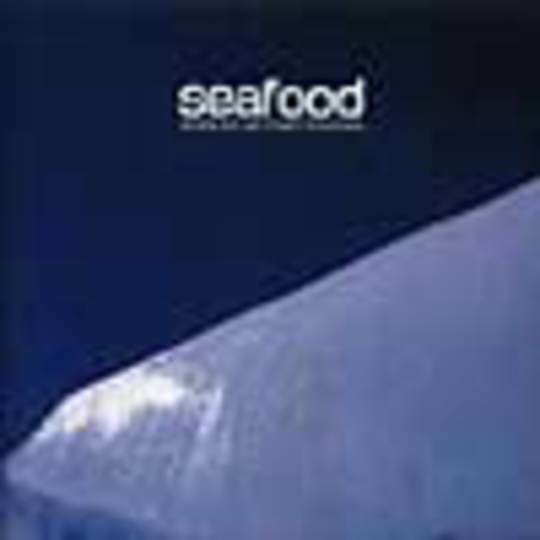 Despite being dismissed by some as being a Sonic Youth tribute band, to me Seafood's strength has always been their variety. Having said that I was a bit surprised when the band announced they were going to record this album in New York as surely this would act as more ammunition for the press. But now I'm glad they went to New York as this might actually make a few people see sense. As like Seafood's debut album this is pretty much a musical pick 'n' mix, which leaves you an emotional wreck. 'Cloaking' opens proceedings, it's the sound of Husker Du picking a fight with Fugazi with a bassline that shakes the pit of your stomach, discordant guitars, driving drumming and yelped vocals. Eli Janney has done a wonderful job at the production desk, though maybe he's a little too good on this song, it's lost it's raw edge which makes it so fantastic live. Shame. Seafood are quick to prove that they're capable of more than full-on ear piercing attacks. * 'Pleasurehead'* shows their softer, delicate side as they briefly stray from using their effects pedals. It's a simple love song with boy/girl harmonies from David/Caroline _ "Remove the time, and you will find, that the details are now complete. Hope is a word we both hope for, for changing seasons we both meet. You're so beautiful, you shine for me, You're so beautiful when you shine." _ They follow this with a sugary semi-acoustic number * 'What May Be The Oldest'* where David is joined by Mary Lorson of Madder Rose and Saint Low, who's vocals add a new angle to Seafood. Elsewhere * 'In This Light Will You Fight Me?' * treads a sparse path with more calm boy/girl harmonies, before careering off track into sonicyouthnoiseland, with the guitar duo of David and Charles attacking their guitars till their fingers are crimson and Caroline screaming _ "I want you now, I need you now" _ in a similar vein to Kim Gordon. They recall their fragile side on * 'Desert Stretched Before The Sun', a quirky acoustic song recorded in Janney's bedroom, possibly the best setting for such a song, with lyrics such a _ "Maybe these streets will end, and lead us somewhere new, and I don't wanna start again, gotta see this through, but it's warm in here, and lights burn so clear, my time and space has gone"_. They go back to being a Indie Rock band on * 'Similar Assassins' and then drift into Lo-Fi mode on * 'He Collects Dust'*, a song driven by a programmed drum beats and spoken words á la The For Carnation, though it breaks up every now and again as David adds guitars and vocals. Seafood have finally produced the album they've been promising for so long. Move over Idlewild! Seafood are here to pinch your 'Kings Of (Credible) Indie Rock' title.